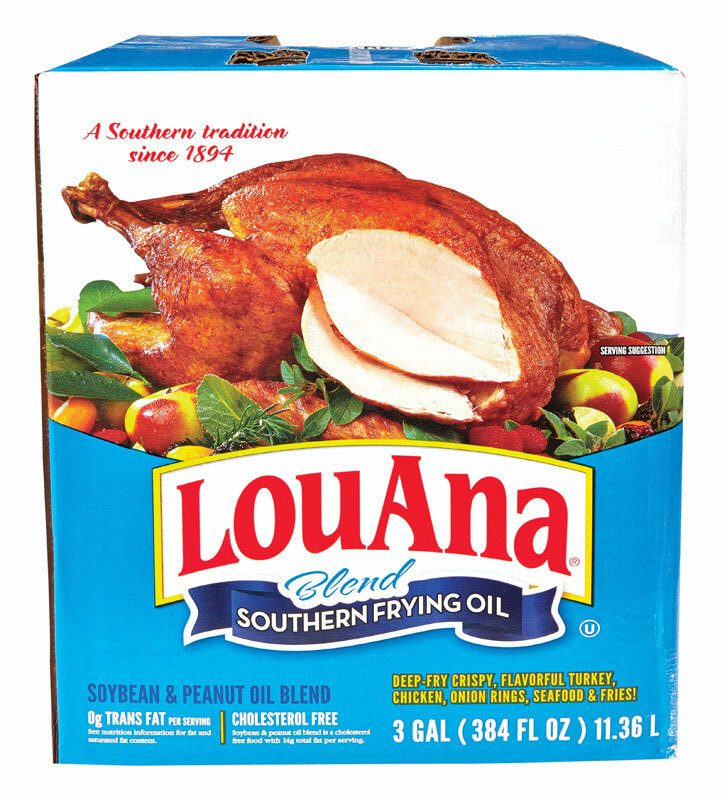 LouAna Peanut Frying Oil 384 oz. Boxed 384 oz. Peanut is the oil of choice among most experienced turkey fryers. Louana peanut oil is the leading brand of peanut oil in the nation. LouAna peanut oil is 100 percent pure peanut oil with no additives. It contains zero grams of trans fatty acids per serving and is naturally cholesterol-free.